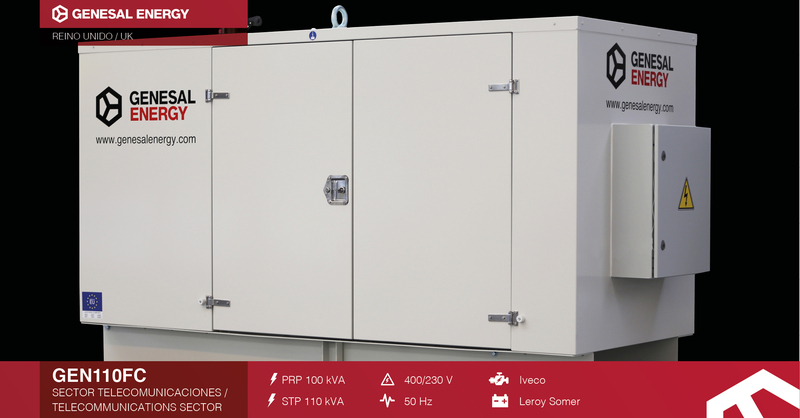 We already know that the presence of generator sets in data centres and communications companies is critical. Our distributors are aware of this, and they’ve trusted GENESAL ENERGY to supply an emergency genset that will guarantee power supply in the main building of one of the most important telecommunications companies in Europe. Emergency genset to supply power in the event of a mains failure. This genset has been installed in the building of one of the telecommunication companies. Oversized fuel tank to provide over 24 hours of autonomy. Leakage tray integrated into the fuel tank. Easy connection cabinet for the unit’s power cables.